Since 1991, Bio-Tech Pest Control has served the Houston, Texas and surrounding areas, offering quality residential and commercial pest control. Our pest services begin with a thorough pest inspection to evaluate a property before recommending a treatment method. We service many areas in the Houston, Texas area including The Woodlands, Conroe, Spring, Katy, Sugar Land, Cypress, Memorial, Tomball, Kingwood and Humble. Click here for our complete service area map. Was very pleased with service and personnel~ Very professional and keep the customer informed during every stage of project~. Guys did a great job, thanks Jason! Always very good service. They are responsive and take great care of the customer. Scott was great...very professional, on time and polite...i will let you know if i need reapplication. Aaron B. couldn't of been any better. He went way above and beyond the call of duty. Excellent service. All went well as usual! Truly, this is the first time ever that we have had a pest control system where we had 100% success. We have had NO bugs or problems since we used Bio-Tech Pest Control and was definitely happy to renew the program. They are very thorough and polite. Nice to know you can trust them! Aaron, couldn't have been more professional, thorough, and answered all questions with patience. I definitely recommend Bio-Tech Pest Control. Bio-Tech provides a professional services and in our case, backed with a professional report. I am very happy with BioTech. I opt for their annual service and I have to say that it always lasts a year. Always show up on time and have some nice guys that take care of my pest control. Great product! Once a year application, if you have any problems they come out and make things right. I have used them for years. Solid bunch of workers that come out. Have been using them for over 10 years and very happy with the services. I like once a year and if I see anything in between they will come and take care of it right away. Was with Biotech a few years, tried another place to save money, and ended up coming right back. Bigger upfront cost, but cheaper in the long run. Also, same techs come to my home every year. I like the familiarity. Highly recommend! 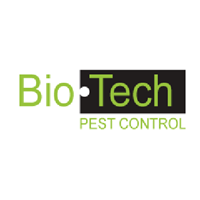 This is our second year of using Bio-Tech Pest Control. Did not see any bugs during year one, hence year 2! The Bio-Tech personnel where very professional and personable. We truly enjoyed working with everyone of them, from the Technicians to the office employees. They answered all our questions and took time to explain all the details. We were extremely satisfied in their resolving our problems. All of Biotech's employees have been incredibly helpful in trying to rid us of a squirrel infestation. Prices for the services rendered have been quite reasonable. I have used them for years for annual pest control but they have really gone above and beyond in helping with our current issue. This is the second time using Bio-tech & would use them again. Great company & employees. I have used BioTech for over 20 years for all my services. They are always prompt, courteous and efficient. Always excellent service and great price. They did a very thorough job and I am happy with their work. We have used BioTech for several years and we are very pleased with the service. They are all professional but friendly and helpful. If any hard to control pests appear, they are quick to respond and eliminate the problem, We previously used a nationally advertised company and we much prefer BioTech. Great service! It was fast and prompt! Always in time. Always friendly and efficient. No complaints ever. This is my 3rd year using their service. Great job continues for 22nd year. Chris was very informative. Job well done each time. I have been using Bio-tech services since 10+ years and am very satisfied. Great people and fantastic service! Excellent response, excellent service, excellent results. Reasonably priced quality WDI inspection in a timely fashion. I am very pleased with the service. Everyone in the company are very professional, polite and knowledgeable. I would gladly recommend this company. On time every time and very professional techs. I'm in the process of having Bio-Tech do an Exclusion & Rodent Removal job at my home due to rats in the attic. So far I've had 10 visits, met 8 different technicians and have had 6 rats trapped and removed. All technicians have been very friendly and professional. I've been extremely pleased with the responsiveness to all my telephone inquiries and with the service provided. I will recommend this company to all my neighbors and friends.